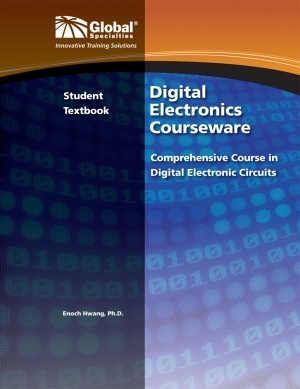 This book is meant to serve as the text/lab book for a first course in digital electronics. The object of the course is to help you become familiar with the use of digital electronic circuits. After completing the course, the student should be able to design, construct, and effectively troubleshoot digital electronic circuits. Each chapter of the book contains clearly stated objectives that the student will be able to perform when the chapter is completed. The objectives are followed by text which discusses the subject of the chapter. The text is followed by questions to test the student‟s understanding of the material. After the questions, most chapters will have several experiments which will demonstrate and reinforce the subjects covered in the chapter. The course is structured so that most of the material is actually learned in the laboratory. Figures are used generously throughout the text to provide clarity. The course is designed so that most contemporary topics in digital electronics are addressed.